Each and every week, I’ll be sharing easy ways to maximize your dollar at your local dollar store. From five dollar meal ideas to closet organization, you can find a LOT for just a buck. This marks the beginning of my fifth month of weekly articles about saving money. Don’t forget to catch up in the dollar store archives. I’m a bit of an office supply junkie. From pretty post its to push pins, I can’t get enough of colorful office supplies. Even though I work at home now, I still keep my office fully stocked with staples, pens, and notebooks. I have been sharing weekly dollar store deals in a variety of subjects, but this week it’s all about office supplies! There are many dollar stores in your area, but Target’s One Spot is where I prefer to load up on my office goodies. Here are a few ideas to add some color to your office on a budget! 1. Sticky Notes. This is kind of a given! There’s hardly a better office supply than a sticky note and the dollar store has plenty. These little note pads make organization easy. I use sticky notes in my planner to call attention to my “must dos” or to stick on my monitor to remind myself to make phone calls. 2. Organizational Totes. The Dollar Store has a wonderful variety of organizational totes available. No matter what type of tote you’re looking for, you can find it for a $1. I like to find the funkiest basket or tote I can find and stack a few into my office. 3. Plastic organizers. Whenever I find these at Target or the Dollar Tree, I stock up! I love them so much! You can use them to store cosmetics, paper clips, organize your washi tape, or hold change. 4. Page flags. The holy grail of Target’s One Spot! These page flags are almost too popular that you can never find them. I’m in a few Facebook groups for stationery addicts, and these page flags can go for a pretty penny. I am not the kind of person to buy $1 items and mark them up (but take a look at eBay and see what’s available! ), but if you see them in your store stock up! They are the perfect size for your planner or can be used as a bookmark or markers inside your textbooks. 5. Writing Utensils. In today’s technology filled world, I’m one of those people who still use pen and paper. I love finding all sorts of writing utensils at the Dollar Store. The quality of dollar pens at Target is actually NOT bad! I love their cute patterned pens, and I use them regularly. While my favorite brand of pen (Staedtler) is a bit pricey, it’s nice to have a few ballpoint pens on my desk just in case. I also have quite the affinity for punchy pencils. I usually write out my daily to do list in pencil and mark it off in pen. Something about the color contrast is motivating for me. 6. Washi Tape. Washi tape is so much more than an office supply! It’s a fun way to get crafty or decorate your planner. I’ve used it to decorate picture frames, kitchen utensils, and even my spiral notebooks. On good days, my local Dollar Tree has these adorable rolls of paper tape for (obviously) a buck. They have fun colors and patterns and even seasonal options. 7. Office Cleaning Supplies. Raise your hand if you like to have a clean office! I love the idea of a clean office and I can find so many cleaning supplies at my local Dollar Store. I usually grab anything from microfiber clothes to window cleaner. 8. Office Décor. What fun is an office without decorations? Target One Spot has the best office décor out there. I love being able to find little picture frames and knick knacks. From pencil cups to cute buckets for all sorts of odds and ends, my desk certainly has a few of these items and so should yours! 9. List pads. I use list pads for meal plans, daily plans, notes, everything. One way that you can use a weekly list pad involves a laminator! I actually laminate a page or two and insert it into my planner. That way you can reuse it every day! Buying office supplies can add up, if you’re not careful, which is why I buy all my supplies at the local Dollar Store. I’ve been able to save some serious money that way. I use office supplies for blog photography props, for planner organization, and to actually USE too. I have a few more posts about this coming up in my dollar series. Keep reading for more! What’s your favorite kind of office supplies? What is your summer must-have? Stock up on these must have dollar office supplies! Add a bit of color to your office with these ideas. From sticky notes to plastic bins, maximize your money with these ideas! Omg these items are sooo cute and cheap!! Gosh I need to go to America! I love any kind of dollar stores! They do have the best offers on office supplies. I love what you picked. Pretty supplies are fun! I am at the dollar store all the time, so I end up getting a lot of office supplies (and everything else) there. I love that place. I love Target $1 spot. They usually have so many cute things to choose from. I agree skip those pens from the dollar tree, your better off buying BIC or paper mate pens at the beginning of the school year when they are cheapest. I usually keep a stash of school supplies at the house for the kids. They just shop from a box in the house. I pick up extras during back to school season. I grab markers, colored pencils, pens, pencils, crayons, erasers, and anything else that they might need mid year. These items are really cute actually, my daughter loves the design lol. Thank you for sharing, I’ll share this to my friends and relatives. The dollar store is amazing for office supplies! Especially with how cheap they are, it’s a great place where I would shop for my own office supplies. Love the Dollar Store. You can find a little bit of everything in there. Can’t beat a $1. I love office supplies too. I will have to check out the dollar store. I love pads that are decorative because I make so many lists. Just like you, I am an office supply junkie kind of gal as well. I love to stack on things that I need on day to day basis,. I love the dollar store. I usually go in with the intentions of getting a few things and end up buying way more. These items are all on point. I have a bit of an office supply obsession!! I love getting fun supplies at the dollar stores! There really are so many fun things you can do with Washi Tape. I never thought about using them for office supplies, but of course that could be really fun. You can get almost anything at the dollar store. Your post gave me an idea on what to do or buy next time around. Thanks Krystal! I love shopping for office supplies and much more at the dollar store, definitely comes in hand right before school starts! Thank you for sharing. 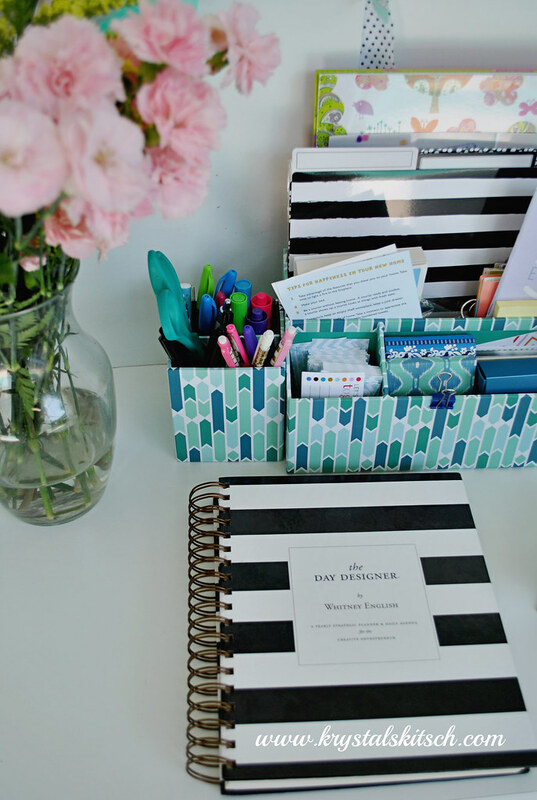 I seriously love organizational products and anything for the office or home! I buy many of these products at the dollar store! I never knew the dollar store had such insane cool office supplies. The page flags alone will get me in there to check it out. The colors are so sweet. our dollar store is a little more ghetto so I don’t know.. I am constantly shopping the Dollar Store for office supplies. One of my favorite things to get (when I can find them) are the fine-pointed Sharpie pens. I use them for drawing sometimes, and they can cost over $3 in some places. I also stock up on those 3-packs of yellow legal writing pads. There’s a version of the dollar store here and I hate going there because I end up buying a lot of things! Some of the most beneficial office supply items are the ones that are in bulk and less than a few dollars per unit. I need to get a supply of staples, stapler, tape dispenser, paper clips and so forth. Who is the best provider of such simple and common office supplies? My hope is to be able to set up a re-ordering process with them. Hi there Krystal, I am always watching out for stationery deals as I realize that it helps one to save much in the long run. I have subscribed to your daily deals notifications. Thanks for sharing. This list is great. And yes having these must have office supplies is very important. I regularly use sticky notes. It’s help me complete lots of busy schedule jobs of mine one by one very easily. You’re right about the wealth of organizational totes at the Dollar Store. There’s usually a funky option in the bunch, as you share.